The Institute for Advanced Manufacturing and Engineering (AME) – a collaboration between Coventry University and Unipart Manufacturing Group to equip engineering graduates with the experience and skills employers need in the future – is to be extended after receiving over £5 million of funding. Work is now due to start on refurbishing one of the site’s buildings, with a view to it being officially opened by the end of 2019. AME was established at Unipart Manufacturing on Beresford Avenue in Holbrooks, Coventry, four years ago to provide teaching and research space for Coventry University students. Around 120 students are currently studying at the site and, since AME was launched, 100% of those graduating have been employed in engineering jobs. 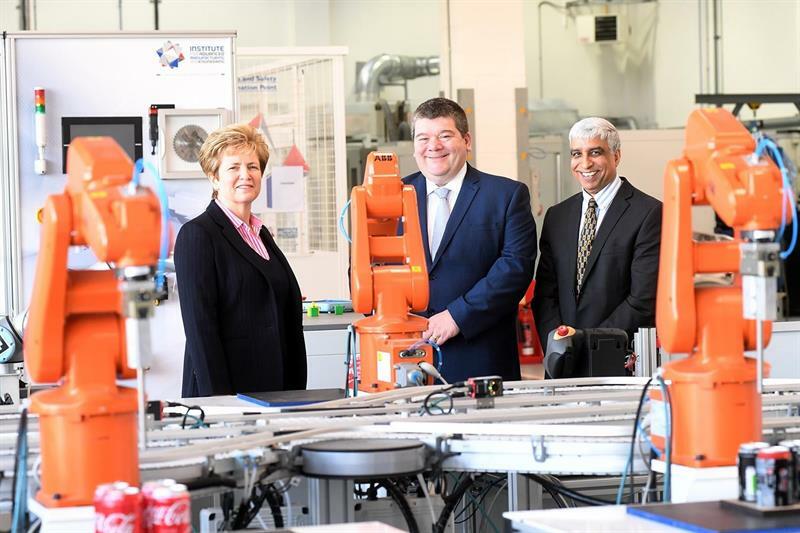 The Government’s Local Growth Fund – through the Coventry and Warwickshire Local Enterprise Partnership (CWLEP) – has awarded £1 million of funding, while Coventry University is providing a further £4 million to equip the building with digital manufacturing and materials analysis equipment. This exercise will include investment in robotics, digital technologies, laser processing and surface engineering equipment, all designed to enhance research and teaching capabilities that will drive increased productivity.